Great photo here of Mercedes Lopez de Heredia, winemaker at R. Lopez de Heredia (photo by Tim Akin, MW). One of the great wineries of the world, R. Lopez de Heredia was founded in the nineteenth century when French negociants visited the Rioja region to find alternative sources of quality grapes to transform into wine, as the phylloxera epidemic had decimated their vineyards. Don Rafael López de Heredia y Landeta, started his winery in Haro, the capital of the Rioja Alta region. The winery is a stunning older building with one of the coolest wine caves that I have ever seen. My visit to Rioja was simply magical and R. Lopez de Heredia was one of the highlights. The winery even has its own in-house barrel maker as the attention to detail in the wines is unbelievable, R. Lopez de Heredia wines are aged considerably longer than most and they are only sold when the winemaker finds them to be drinking perfectly. Their current releases are more than a decade old. The new releases from this house were stunning. Look for the 2009 R. Lopez de Heredia ‘Vina Cubillo’ Rioja (WWB, 92) which is a killer value that shows wonderful texture and a soft mouthfeel from this warm vintage in Rioja. Even better was the awesome value out of Rioja, taken from a challenging vintage. 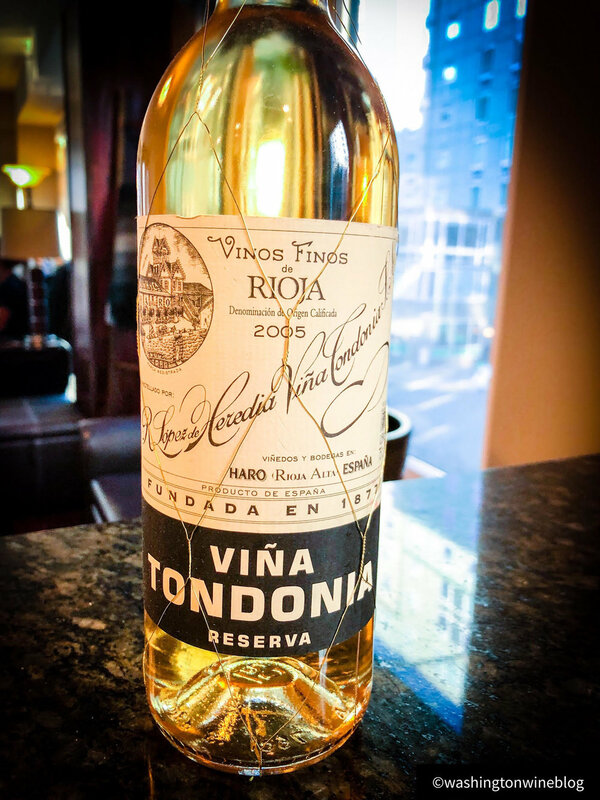 The new 2005 R. Lopez de Heredia ‘Vina Tondonia’ Rioja Blanco Reserva (WWB, 95) which is the best of its kind that I have sampled over the past decade. The wine shows insanely good range and a silky texture as well as a wonderful salinity. It is one o the best wines from Spain that I have sampled in several years. Learn more about this famed winery athttp://www.lopezdeheredia.com Here are the beautiful new wines by R. Lopez de Heredia.